Turkey: Mixed drink for Midas? Throughout human history, alcoholic beverages have treated pain, thwarted infections and unleashed a cascade of pleasure in the brain that lubricates the social fabric of life, according to Patrick McGovern, an archaeochemist at the University of Pennsylvania Museum of Archaeology and Anthropology. He argues that the mind-altering effects of alcohol and the mysterious process of fermentation may explain why these drinks dominated entire economies, religions and societies. He’s found evidence of fermented beverages everywhere he's looked, which fits his hypothesis that alcohol "had a lot to do with making us what we are in biological and cultural terms." 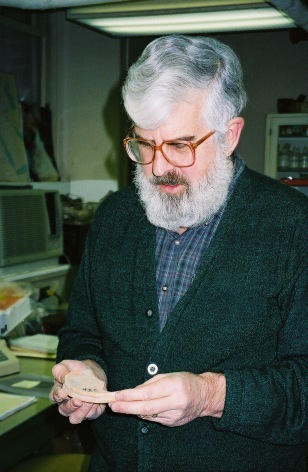 The author, shown here examining an ancient pottery sherd, spoke with msnbc.com about his research. Click the "Next" arrow above to learn about 8 ancient drinks uncorked by science. 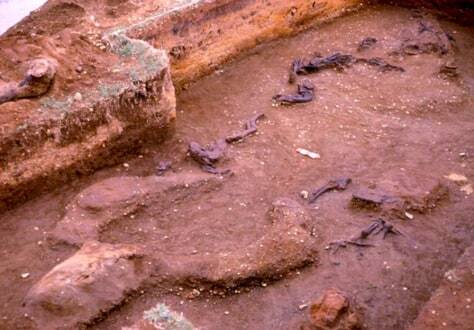 While the human relationship with alcohol may trace back to our ancestors, the earliest chemical evidence for an alcoholic beverage dates back 9,000 years to the ancient village of Jiahu in China's Henan province. 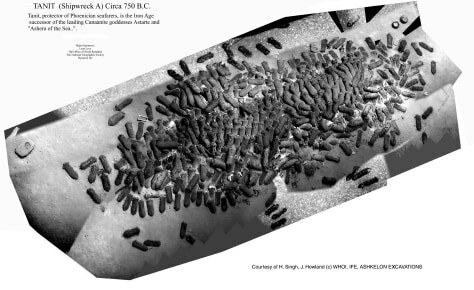 Based on the analysis of residues extracted from pottery fragments, McGovern and colleagues concluded that the people were drinking a mixed wine-and-beer-like beverage made with grapes, hawthorn fruit, rice and honey. The finding was published in December 2004. The following year, McGovern collaborated with Sam Calagione and his crew at the Dogfish Head Brewery in Delaware to re-create the millennia-old drink. 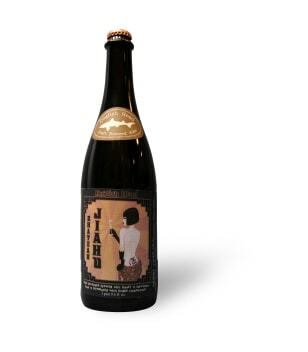 Their creation, called Chateau Jiahu, won a gold medal at the Great American Beer Festival in 2009. "We worked hard on getting this interpretation right. Since it does represent the oldest alcoholic beverage, it was really gratifying to get that gold tasting award," McGovern said. Which came first: bread or beer? The question remains unresolved, but evidence suggests barley was first cultivated about 10,000 years ago — the same time humans were abandoning the hunter-gatherer lifestyle and sowing the seeds of civilization. What was the catalyst for the transition? A steady supply of barley bread is one possibility. Brewing copious amounts of barley beer is another. "From a pragmatic standpoint, the question is really a-no brainer," McGovern writes in his book. "If you had to choose today, which would it be? Neolithic people had all the same neural pathways and sensory organs as we have, so their choice would probably not have been much different." 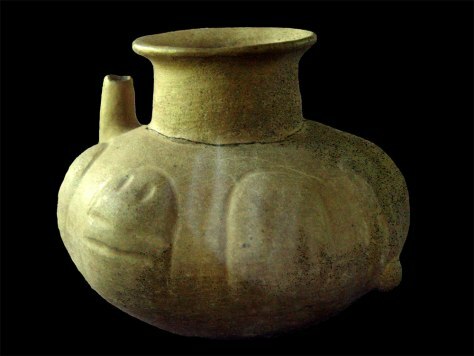 Some of the earliest chemical evidence for beer comes from residues – calcium oxalate, known as beerstone – inside a jar excavated at the Godin Tepe archaeological site in the Zagros Mountains of Iran that is dated to between 3400 and 3100 B.C. In 1957, University of Pennsylvania Museum researchers working at the Gordion archaeological site near Ankara, Turkey, broke through the wall of an elaborate tomb dated to between 740 and 700 B.C. that research suggests was the burial site of the fabled King Midas, or his father and king, Gordius. 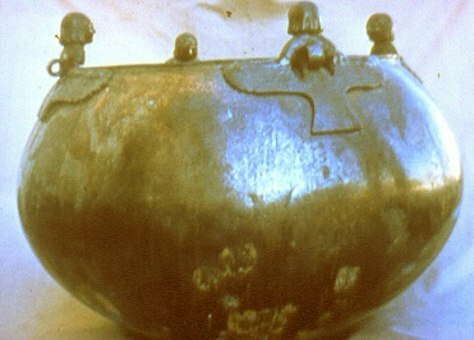 Among the remains in the tomb were the body of a 60- to 65-year-old male and the largest Iron Age drinking set ever found: 157 bronze vessels that were presumably used during the occupant's farewell feast. In the late 1990s, McGovern and his colleagues analyzed residues inside the vessels and found evidence for a mixed beverage of grape wine, barley beer and honey mead. In March of 2000, he challenged microbrewers to make a representative concoction — and in the process prove or disprove that such grog was a plausible, enjoyable drink. Sam Calagione of the Dogfish Head brewery came through with what has become his most celebrated beverage: "Midas Touch." Analysis of a pottery jar, or amphora, pulled up from a late 8th century B.C. shipwreck in the Mediterranean off the coast of Israel offers a strong hint that the wine trade flourished as a result of Phoenician enterprise originating from the coast of Lebanon and Syria, according to McGovern. He and his colleagues discovered that the amphora was filled with a tree-resin-infused wine. What's more, the bottle had been sealed with resin to prevent the liquid from leaking out and oxygen getting in and spoiling the wine. Other Phoenician shipwrecks found throughout the Mediterranean dating to between 1000 B.C. and 400 B.C. also contained vast stores of wine. "Some of the people working on that area say that the wine trade was really what transferred culture from the eastern Mediterranean to the western Mediterranean, because all of these ships are just chock-full of wine-related artifacts," McGovern said. The earliest evidence for human occupation in the New World is found at Mount Verde, Chile, an inland archaeological site that dates to about 13,000 years before present. The discovery of the site in 1977 raised the possibility that the first migrants across the land bridge between Siberia and Alaska took a water route to get to South America, not a slower-going overland trek as previously thought. For McGovern, another intriguing possibility at Monte Verde is telling hints that these early Americans were drinking a fermented beverage. Though a drinking vessel or jug for chemical analysis has yet to be found, botanical debris at the site includes several fruits and starchy foods that could have been made into a buzz-giving drink. "Humans are very innovative when it comes to figuring out how to make a fermented beverage, so if you've got fruits or other starchy materials that could be chewed or made into a sweet food or beverage, they'd discover how to do it. ... We just don't have the hard evidence for it yet," McGovern said. Chocolate, almost anyone will attest, is tasty stuff. But long before humans were turning cacao beans into delicious deserts, they were making a wine from the sweet pulp that fills the cacao pods. "The initial motivation for focusing in on the chocolate tree and domesticating it would have been this fermented beverage," McGovern said. 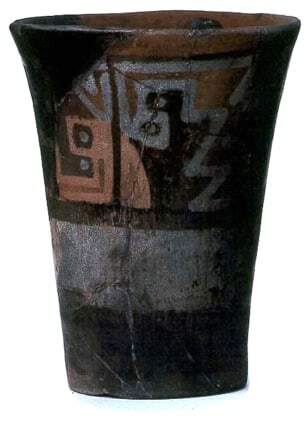 The earliest evidence for this cacao-based wine comes from chemical analysis of pottery fragments recovered at the Puerto Escondido site in Honduras dating to as early as 1400 B.C. Nearly all the fragments tested had the fingerprint compound for cacao, theobromine. And these vessels clearly were intended to hold a liquid or a beverage, McGovern said. Cacao-based fermented drinks were popular throughout Mesoamerica, evolving into a mixed beverage during Aztec and Mayan times that may have even included the addition of mind-altering substances such as peyote or hallucinogenic mushrooms. Honey, chilis, scented flowers and spices were the usual additives. McGovern's research once again led to collaboration with Calagione at Dogfish Head to re-create a representative concoction of this centuries-old tradition. The creation, called Theobroma, is brewed with cocoa powder and nibs from the Aztec region of Soconusco, honey, chilis and fragrant tree seeds called annatto — though it lacks the illicit kick. For some reason or other, a pre-Incan civilization known as the Wari abandoned their outpost atop Cerro Baul, a mountain about 50 miles from the Pacific Ocean in southern Peru. 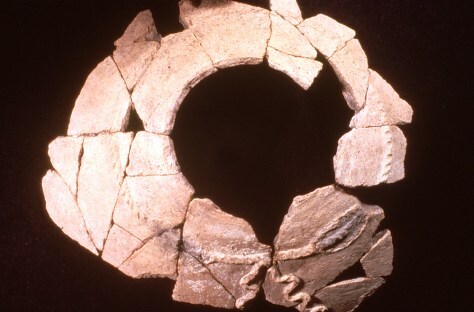 Before they departed, archaeological evidence indicates that they had a grand bash replete with ceremonial smashing of mugs full of alcoholic beverage and then literally burned down the house. The drink of choice for the Wari was made from the fruit of the pepper tree Schinus molle. The largest known production facility for making the beverage was found at Cerro Baul. In addition to vats for making the beverage and thousands of pepper-tree seeds and stems, archaeologists found shawl pins worn by women, an indication that they were responsible for making the beverage. For many a manual laborer, even today, few things are as rewarding after a long day's work than a mug of beer. The ancient Egyptians knew this. 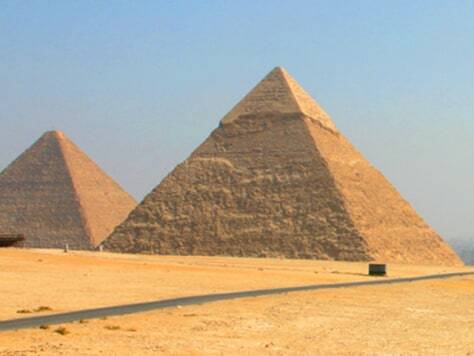 The workers who built the Great Pyramids, for example, were paid in a daily allotment of bread and beer, noted McGovern. Just how deep in time the Egyptian beer-making tradition goes is uncertain, but pottery remains from Hierakonpolis, in Upper Egypt, suggest that the craft was under way perhaps as early as 3500 B.C. Chemical analyses suggest that barley was mashed and beer was made at the site and other sites nearby. If so, they would be the earliest breweries in the world. "They seem to be making beer on a very large scale," McGovern said. "It was probably involved in large-scale architectural projects in which the workers, just like at the pyramids, were paid in bread and beer."